This episode is on how to coach emergency preparedness. If you listened to last week’s episode #57, “How to Convince Someone to Prepare” you’ll know that I touched on a couple of things to do when working to get a friend or relative into being prepared. One of those “to-dos” is coaching. So, let me ask all of you, have you ever been coached, or studied how to coach someone? I don’t mean sports coaching. I mean coaching people to improve their lives. If you have, then you already know how powerful and successful coaching can be. And when it comes to preparedness, a good coaching strategy combined with a useful technique can make the difference when it comes to helping people overcome the preparedness roadblocks that face us all. Now, when it comes to coaching, I do know a thing or two. First, because I have been coached on numerous occasions, I know how incredibly effective coaching can be. Shoot, I’m in a coaching program right now that is seriously blowing my mind. Now, the second reason that I know coaching is excellent is that I’ve had the extraordinary opportunity to coach many people myself. Now, why is coaching so awesome? Coaching is so excellent because when done right, it can be one of the most effective methods of helping someone to accomplish something they would have otherwise struggled with, or failed at entirely. The part of this that gets awesome is as you master the steps to convince someone to prepare, and as you combine those steps with a competent coaching strategy, you set yourself and those you’re coaching up for success. I mean seriously, when it comes to preparedness, not being able to get your family and friends on board with your prepping is one of the most common and frustrating problems that many of us as preppers face. Now, wouldn’t it be great if you get the mental tools and techniques to get your loved ones on board with preparedness? Just think how much easier, and more enjoyable your preparations will be. Well, when you’re done listening to this episode, you’ll be better prepared to get the people who you care about to pull their heads out of the sand and to take responsibility for their futures. I think that’s pretty awesome. In this episode, we’re going to cover the difference between coaching and teaching. We’ll also go over the seven questions you need to ask when you’re coaching people, and why this is important for you and those who you want to see become better prepared. Coaching is a handy way to not only help people to get on board with preparedness, but to also develop their skills and abilities and, here’s an important one, enhance their performance. Yes, coaching and teaching may seem the same but there are significant differences. One fundamental difference is that as a teacher, the focus is on you, your knowledge, your experience, and your style of presenting the information. On the other hand, a coach focuses on the student. Coaching focuses on helping the person, the individual, or the group of individuals take what you’ve taught them and apply that knowledge to their life. In other words, teaching consists of one-way communication, while coaching is a two-way communication. Coaching is collaborative and provides individual feedback. In a way, the coach and student create the results together. A teacher usually shares information one time. A coach though will interact with and mentor the person they are working with. Coaches guide others towards resolving a problem or successfully achieving some goals. Of course, every person is different in their results. Another difference is that teaching is very impersonal, while coaching is very personal. This level of involvement is why, often, it costs much more to hire a coach than it does to hire a teacher. An example of teaching is when you sign-up for a usually lower priced online course. The course is short, by the numbers, with relatively no interaction between yourself, other people in the class, and the instructor. You pay for the course and shortly after you get access to the training. The training often consists of some pre-recorded videos, self-paced PowerPoint presentations, or something similar that requires very little interaction. Instead of interacting with others, you sit in front of your computer and have the information run until you either finish or get bored and fall to sleep. Eventually, you may complete the course with a head full of information that you were unable to discuss and get clarification on. On the other hand, an example of coaching is when you pay for a course with a higher ticket price. However, while you were on your own in the less costly course is more in-depth, includes a variety of handouts, and supporting documents. More importantly, the course consists of interaction and collaboration between the students and the coach. This interaction helps people to learn the material presented in the class you paid for coaching is a really useful way to not only help people to get on board with preparedness, but to also develop their skills and abilities and, here’s an important one, enhance their performance. Yes, coaching and teaching may seem the same but there are significant differences. One key difference is that as a teacher, the focus is on you, your knowledge, your experience, and your style of presenting the information. On the other hand, a coach focuses on the student. Coaching focuses on helping the person, the individual, or the group of individuals take what you’ve taught them and apply that knowledge to their life. In other words, teaching consists of one-way communication, while coaching is a two-way communication. Coaching is collaborative and provides individual feedback. In a way, the coach and student create the results together. A teacher usually shares information one time. 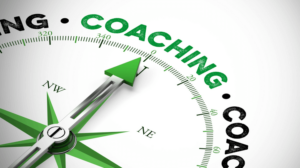 A coach though will interact with and mentor the person they are working with. Coaches guide others towards resolving a problem or successfully achieving some goals. Of course, every person is different in their results. Another difference is that teaching is very impersonal, while coaching is very personal. This level of involvement is why, often times, it costs much more to hire a coach than it does to hire a teacher. An example of teaching is when you sign-up for a usually lower priced online course. The course is short, by the numbers, with relatively no interaction between yourself, other people in the course, and the instructor. Basically, you pay for the course and shortly after you get access to the training. The training often consists of a number of pre-recorded videos, self-paced PowerPoint presentations, or something similar that requires very little interaction. Instead of interacting with others, you sit in front of your computer and have the information run until you either finish or get bored and fall to sleep. Eventually, you may complete the course with a head full of information that you were unable to discuss and get clarification on. On the other hand, an example of coaching is when you pay for a course with a higher ticket price. However, while you were on your own in the less costly course is more in-depth, includes a variety of handouts, and supporting documents. More importantly, the course includes interaction and collaboration between the students and the coach. This interaction helps people to actually learn the material presented in the course you paid for. The reason I want to go over the differences between coaching and teaching is that I’m going to help you learn some strategies so that you can incorporate coaching into your preparedness mindset. Then, as you become better at coaching, you’ll be able to use your new coaching skills to help square away other preppers and hopefully soon to be preppers. The great thing about this is that your coaching skills will take you so much farther than just convincing people to prepare, which is essential. Instead, not only will you be able to convince other people to prepare, but when they run into challenges as they prepare, you’ll be able to help walk them through those challenges as well. So, when it comes to coaching and passing on information to others, it’s important to remember a few things. Coaching is not passive, in other words, you have to be involved and interact with others. What you’ll find is that coaching is very fulfilling, especially when it comes to the results. Statistics show that the percentage of people who reach their goals by participating in the teaching model type of instruction is far less than those who learn via the coaching model. In the end, as a coach who is working with individuals, you can help them get past their learning barriers and find success. Just think about when you were in school. Did you learn more from the teacher when he or she stood in front of the class and lectured, or did you learn more when they explained things to you in a one on one coaching situation? Now, over the years, I’ve found that as I’ve grown in my knowledge related to preparedness, that some people need that coaching. As I realized that and began helping others, I found that it is super rewarding to coach people on an individual basis. Over the years, I coached people here and there. Now though, since starting Mind4Survival, I’ve found that the amount of coaching I do is ramping up. There’s a good number of listeners out there who I have had the privilege to help coach, and I love every minute of it. That’s because I’m here to help and enjoy working with all of you awesome preppers out there. Motivate others outside of their comfort zone. A great deal of this episode is about motivating you to step outside of the comfortable box you probably have yourself in. Trust me, speaking to people can be intimidating, especially as the number of people you’re speaking to increases. So far, the most people I’ve had to speak to at once was around 400, and that definitely wasn’t easy the first time I did it. But, over time, speaking to groups becomes easier and as it does, your coaching will become much more effective. Now, the point of all this is that if you’re a person who isn’t comfortable with speaking, don’t worry. It will get easier, and you’ll get better over time. Oh, and there’s one other really great thing about coaching. You’ll find that as you coach others, you will be, in many ways, coaching and improving yourself. Then, as you do it more and more, your coaching will improve and from there, your effectiveness and abilities will begin to pick up speed and snowball. So, while I’ve coached for many years, I really didn’t take it up to another level until I read a book by Michael Bungay Stanier called “The Coaching Habit: Say Less, Ask More, and Change the Way You Lead Forever.” Now, this book is awesome and I plan to help even more preppers by creating a YouTube video on coaching that I’ll put a link to in the show notes. You’ll be able to find that link and a link to the books in the show notes at Mind4Survival.com/58. With that, I’m going to go over what I’ve learned about coaching. The great thing is that there are coaching techniques that I’ve learned in this book that I now use in both my Mind4Survival life and my day job life. Stanier’s book includes the seven questions that you should definitely ask the people you’re coaching. The questions have a precise order that they are asked in. Now, before you jump in and start asking questions, there are other coaching best practices that you need to learn and master. First, you need to make sure that you ask just one question at a time. Honestly, this is often a difficult task for people to manage and the odds are that we can all do a little better with this. I know I step on people during conversations from time to time. Heck, if you’ve tuned into any of the videos we do over the ThePreparednessExperience.com, you’ll see Dale, Ryan, and I, in spite of our best efforts, interrupt one another. While it’s human nature to get excited about something in the conversation and jump in, it’s counterproductive in the coaching environment. What we, as coaches, need to work on is asking our question, then letting the other person answer it while we sit back and listen. That’s number one. The second thing is to forget about the small talk and opening discussions. When you’re coaching you want to get right into it and forget about all of the fluff. One way to look at it is that a person needs your help, so, you go and try to help, not talk about the weather. Third, and many of us are guilty of this when helping others, don’t offer advice that ends in a question. So, for example, if a person needs help with a bug out bag, we may ask, “Have packed a couple of widgets, or did you put this gadget in your bag, or how about doing something like this?” Sure, you’re trying to help, but that isn’t really how coaching works. You’re probably saying, “But Brian, you said coaching involves asking questions.” True, I did, but not those kinds of questions. That kind of questions, questions where you ask if someone did a specific something, or is thinking a particular way, aren’t really questions when it comes to coaching. Rather, when we ask a specific question like these, we are in a sense telling someone what we would do in their place. In other words, we’re offering advice that is wrapped in a question. In reality, you’re just telling them what to do in the form of a question. Think back through your life, has anyone ever asked, “Are you going to take that garbage out?” How often is that more of a reminder, or nudge to get you to do it as opposed to someone who is curious about you taking the trash out? Forming advice as a question is a bad coaching habit that you want to avoid. Those are three ingredients that go into the making of an excellent coach. However, I recommend that you check out Stanier’s book, “The Coaching Habit: Say Less, Ask More, and Change the Way You Lead Forever.” Like I mentioned earlier, I’ll have a link for it in the show notes for this episode. Now though, I’m going to cover Stanier’s seven questions that you should ask when coaching someone and why those questions matter. Now, you may be wondering if learning to coach is for you? Well, it’s for you if you ever want to help someone to improve indeed and understand what they are doing, as opposed to just telling someone what to do. Ultimately, just like many of the mindset topics I speak about, coaching does not only apply to preparedness. Finally, coaching can apply to many areas of your life, including areas to help you help others to become better people. In my case, I have people who work for me. Rather than just being a dictator, I want to make them better at not only their job but at life in general. For those of you who are parents, as a parent, you are the coach of your children. Why do you coach them? You coach them to help them learn so that they hopefully lead successful, happy and full lives. In the end, at various times throughout our lives, we all have the opportunity to be a coach and help others. Alright, so let’s begin with the first question, which is “What’s on your mind?” That’s it. It’s an easy question the allows you to dump the introduction, fluff, and small talk. It gets right into the heart of it all and is a great way to start the conversation going. It’s a great question because it’s a non-specific, general question, what allows the person to tell you what is happening in their mind, without any leading or framing, by you. Notice, you are not asking “What’s the problem?” or, “What’s your issue?” Instead, you’re simply asking, “What’s on your mind?” Because the questions are open-ended and non-specific, you’re opening the conversation up to anything that is bothering a person, or on their mind. Once you find out what’s on a person’s mind, you will then be better able to decide how to help the person get past whatever it is. After all, helping someone get past what is on their mind is the goal of all this. The second question is “And what else?” This is an important question that Stanier refers to as the A-W-E question. People are often surprised when they first hear the A-W-E question. Many people don’t think it will be very effective, but it is. The reasoning for the “And what else?” question is because people tend to believe that a person who you are trying to help will tell you everything that you need to know. Unfortunately, that hardly ever happens. Unless you ask the A-W-E question, you’re probably going to scratch the surface of the person involved barely. If you truly want to help, it’s the follow-on questions such as “And what else?” that is money. You’ll be surprised, but the majority of the time when you ask the A-W-E question, you’ll get a response like “Well, there is this other thing that’s I’m having trouble with.” When that happens, you’ll quickly realize that you would never have been able to get the answer out of them had they not asked the A-W-E question. When it comes to the A-W-E question, if there’s one question you want to practice and have down pat, this is it. Don’t just wait to use this question when coaching another prepper. No, you can use it when coaching your family, friends, and others. Think about it, when you see someone who you know is having a problem, you ask them “What’s wrong?” They usually hmmm and hah, eventually telling you a story that when it’s over doesn’t seem to cover what the problem appears to be, or what you need to help coach them. Then, instead of giving advice or asking another pointed question, this is where you ask “And what else is on your mind?” When you ask this, it will help you to understand what a person’s problem is, where it comes from and what is causing it. The A-W-E question makes it possible for you as the coach to know if you’re solving the person’s real problem or not. When you’re at this point, you’ll sometimes read between the lines and figure out what the problem is without the person saying it. It’s here where you need to coach them along so that they tell you, in their own words, what the problem is. As you go through this process, people are going to tell you a lot of things when responding to your questions. However, while they may be all over the map with their response, you need to make sure that you genuinely understand their challenge. Once you know what the real problem is, in the persons own words, you’re then in a position to focus on helping them come up with a solution. This helps make sure you avoid the pitfall of just giving advice that I warned you about earlier. However, it also helps make sure that you’re not helping them work on an issue that isn’t the problem. Again, the goal of question number three is to get the person who you are coaching to tell you precisely what their challenge is. Stanier’s fourth question, the foundation question, is “What do you want? What do you want to accomplish?” It’s this question that allows you, the coach, to be guided by the person you are coaching. This question is the person telling you what you can do to help them. It’s pretty impressive when you think about it. Coaching is all about making sure that you ask the correct questions. If you’ve ever been coached, you know that good coaches ask questions. It’s funny because when you’re new to being coached, you want someone to give you the answer. I remember when I started with coaches, I thought they’d tell me what I needed to know. It never dawned on me that coaches help you work through your problems so that you come up with the solutions and therefore, the answer should suit you. After all, what is right for one person may not be suitable for another. In effect, by asking questions, coaches help nudge and get you pointed in the right direction. These types of questions are designed to help the person you are coaching to come up with their answers. As I mentioned earlier, telling someone what to do has an entirely different effect than when they believe that, through your great coaching, they came up with the answer on their own (which they did), which results in them being more likely to have complete faith in the solution. In the end, when you help someone solve their problem on their own, you set them up to believe in what they’re doing. Then, their belief in what they’re helps motivate them into dedicated action because their action is a result of their thought process. Next up is the lazy question, which is pretty remarkable for us as coaches. Question five may seem like an obvious question, but it’s one that many people fail to ask. This question is remarkable because the person you are coaching is telling you point blank, what you can do for them. Now, if you ask someone “How can I help you?” after all of the other questions you’ve asked that have highlighted the person problem, challenges, and what they want to achieve, you have set the person up to tell you exactly what they need from you. That’s why Stanier calls this the lazy question. It’s the lazy question because it makes it so that you don’t have to think or figure out what help a person needs from you. The person you’re coaching, when responding to this question, will tell you what they need from you to solve the problem you’ve been discussing. In short, by asking “How can I help you?” the person who you’re coaching will make it clear to you, what you can do to help them. This allows you to become more accurate and helpful to the people you coach, while simultaneously making it less hard on you. It’s less hard because rather than trying to figure out what a person needs, you’re not beating around the bush with guesses. Instead, you’re diving right in and cutting out all of the wasteful nonsense. It’s good to know that when asking this question, you may receive a variety of responses, all of which are significant and must be handled in their way. So, for example, you ask someone “How can I help?” and they respond by saying “I want you to do something for me.” Now that they’re asking you, what do you do? As mentioned before, the “How can I help you?” question, really helps you to understand what a person wants. Then once knowing what a person wants, the “How can I help you?” question helps you to understand what the person needs. Once you have that understanding, you’ll be better able to help them figure out the right answer. Now, I mentioned earlier that you want to avoid giving advice, which you do. However, there are going to be times where giving advice is unavoidable. Just remember though, the goal of coaching is to have the person you’re coaching come up with the right answer on their own. Now, the question “How can I help you?” aids you in understanding what the person needs so that you can help them find the right answer. For the sake of practice, let’s assume you asked “How can I help you?” and the person you’re coaching response with “I don’t have any money for preparedness, so I need you to lend me some money so I can get better prepared.” One possible way to respond is to say, “I’m sorry, but no, I can’t lend you any money, but what can you do to get money for your preparedness needs, or what can you do to lower your preparedness costs?” When you use this approach, you're coaching the person by posing questions that relate to their problem and then helping them find a solution. It’s this expedition for a solution that helps make coaching so powerful. Next, when it comes to the lazy question, there is one more situation that coaches need to be aware of. That situation is when people may try to avoid answering “How can I help?” and instead, they’ll try to ask you a question. Typically, that question is something along the lines of “What do you think I should do?” By asking this question, the person you are coaching is attempting to get you to offer advice by telling them what they should do. Remember, the coaching journey is designed to help people improve, not to make it easy on them. So, in a situation like this, make sure you avoid saying “Well, I would do it this way.” otherwise the person you coach will follow your advice, which may not be their best course of action possible. If you think the options they gave you doesn’t answer the problem, ask them the A.W.E. question in response. When you ask the “And what else?” question, you are forcing the person to drill down until they arrive at a true answer to the situation. If they continue not to hit on the answer, keep guiding the conversation by asking questions like the “And what else” question. Alright, we’re on to question number 6, which is “If you say yes to this, what must you say no to?” In other words, when you ask “If you’re saying yes to this…” you’re indicating that your efforts have worked, and there’s a solution to the problem. However, typically when we say yes to one thing, we usually have to say no to something else. For example, if you want to get go to the gym in the mornings, you’ll have to give up something to make time for the gym. Maybe you usually sleep in during the morning. So, while you are saying yes to the gym, you are simultaneously saying no to something else, such as sleeping in. Once you decide on your yeses and nos, you’ve simultaneously established boundaries for yourself. Setting these boundaries is super important. It’s important because when we can say no to things, we’re also, at the same time saying yes to other things that may be more important to us. It’s when we start feeling comfortable saying no to somethings and yes to others, that we can scale our lives up in a positive, continually growing and evolving manner. Next, by asking the people you are coaching to set boundaries for themselves through the question “If you’re saying yes to this, what are you saying no to?” you’re helping them to establish their parameters, which will help get them to achieve their goal. For example, in my case, I’m working on my Mind4Situational Awareness course which will be in the beta test phase within a month. However, since I said yes and committed to creating the class, I also had to say no to other things. In my case, saying yes to the situational awareness course required me to say no to free time, socializing, sleep, etc. Heck, some nights I work on the course until 4 am to 5 am, go to bed for a couple of hours, then get up and work on it some more before going into work at my day job. Because I set boundaries and said yes to the course, and no to other things, I’m getting closer to realizing the goal of completing my course. Had I not set my boundaries I would be hard pressed to complete the course. Now, as you can hear, when I said yes to creating my situational awareness course, I said no to a great many other things. The same may hold true for you and the people you’re coaching. However, while you’ve guided them towards their goal by asking questions to help them get on the right course, you are also asking them to frame it in a manner that makes their course of action very apparent. The no, in this case, can be very significant and meaningful beyond impacts to a social calendar or sleep. Perhaps what some say yes to means saying no to long-ingrained personal philosophies, behaviors, assumptions, and mindsets. After all, how often have we heard of people who make a change (saying yes to something) and that change requires them to do something differently (saying no to something), perhaps overcoming a long-held fear? Maybe a person who says yes progresses to the point that requires them to deal with and overcome a mindset that has held them back for years. In other words, saying no to things, so that you can answer yes to others, can be very difficult, but is also truly important when it comes to achieving goals. The final question, question 7, has a twofold purpose. First, asking “What was the most useful or most valuable for you?” helps the person your coaching to stop and reflect on the coaching experience that they just went through. It is during times of reflection like this that a great deal of a person’s actual learning happens. When people are in the midst of answering your questions, they are often limited in what they’ll be able to take away from the discussion. However, when a person reflects on the discussion afterward, they can look at the situation from a holistic viewpoint and take more notice of what they accomplished, what worked and what didn’t. Also, asking “What was the most useful or most valuable for you?” is very helpful because it aids you in understanding what worked and what didn’t. It also gives you’re the opportunity to make sure that the person you coached truly understood what you discussed and worked on together. When it comes to the final question, there are many ways that you can ask “What was the most useful or most valuable for you?” One way to phrase this last question is to ask “What was the most useful part of our discussion for you? Out of this conversation, what was the most valuable thing that we covered?” You can also ask “What insights did you gain from this conversation?” and “What did you learn today? As the person that you’re coaching answers the last question, you’ll receive feedback and also find out what he or she learned from you, along with what they went through in the process with you. By asking this and listening well, you will over time, discover what works and what doesn’t work, which will help you to dial in your coaching efforts to be more efficient and effective. When you go over this last question, you’re getting the person to tell you what was useful and what went well. You also personalize the conversation by asking the person to tell you what was most useful. When you do this, you enhance the connection between you and the person. This results in the person trusting you more, while also reminding the person that they got something from you in the process and that they are leaving the conversation in a better place than when they arrived. So, to recap before we wrap this up, whether you’re working to convince others to become prepared, helping someone improve their current preparedness, or just helping someone in general, your ability to coach them, as opposed to giving advice, is critical to their overall progress. When coaching, it’s essential that you listen more and talk less. Then when speaking, do so in the form of asking non-advice giving questions. To better understand how to coach people, I recommend reading Michael Bungay Stanier’s book, which is titled “The Coaching Habit: Say, Less, Ask More, and Change the Way You Lead Forever.” Also, in addition to the book, which you can find a link to at Mind4Survival.com/58, feel free also to check out the show notes for this episode. When you do, or as you work on your coaching, please let me hear about your progress or any challenges you encounter by leaving a comment below the show notes. I want to learn about the situations that other deal with and how they are overcome. Hopefully, this provoked some thought in you and kick-started your mindset so that you’re able to help coach those who matter to you. Remember, coaching is about helping to guide someone on their quest for an answer so they truly learn and achieve their goals. It’s not about giving the answer to someone. If you have any other thoughts or questions about how to coach emergency preparedness (coaching the prepping mindset), please leave a comment below.